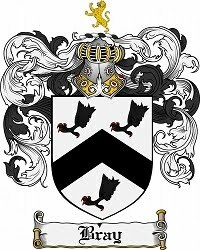 Dr. Christopher Bray MD PhD: Mac and Cheese - USA version or UK version? Why does food produced in the US have artificial food dyes that are tied to cancer when other countries of the world have a reformulated version without these dyes? Sounds like we are getting the scraps to maximize corporate profits. Our country's oversight on food safety is unique in the world - here we assume that any chemical introduced into our food by food processors is safe until proven unsafe. Everywhere else in the world chemicals must be proven safe prior to inclusion in food products. 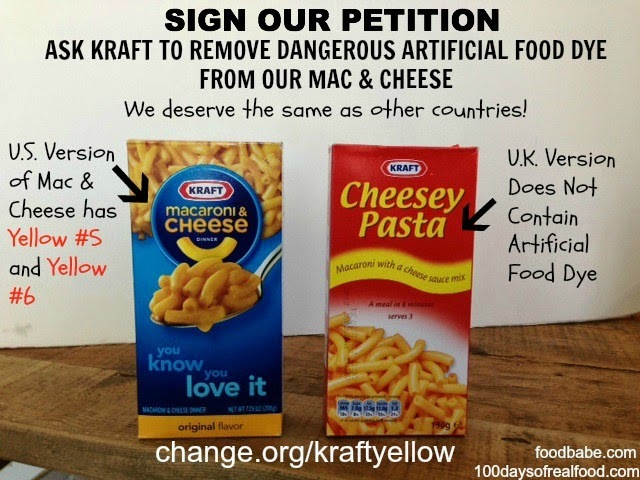 "In a mere 36 hours our petition asking Kraft to remove artificial food dyes from their line of macaroni and cheese products has gone viral and now has more than 175,000 signatures. We are so taken aback by the instant and widespread media attention on this topic, which we think indicates how this much-needed change in our Food Industry has been imminent for some time. One of the big guys just needed a little push in the right direction, and we hope this is it. We want to take a moment to share that this petition is honestly much bigger than just macaroni and cheese or even Kraft. There are many large US companies that use artificial dyes – as well as other additives like GMOs – in their food products here that are not used overseas. Everyone from General Mills to Kellogg’s to Pepsi, McDonalds and of course Kraft, have formulated safer, better versions of their products for other countries and this petition is a vehicle to let these companies know it’s time for American consumers get the same."